MANILA - President Rodrigo Duterte campaigned with a promise to halt environmental destruction and protect besieged indigenous communities. But he enters his third year in power with the Philippines still ranked as Asia’s most dangerous for environmental defenders. International watchdog Global Witness said 48 environmental campaigners were murdered in 2017, a 71 percent increase from the 28 killings in 2016. "That is the most murders ever recorded in Asia in a single year," said the global organization that tracks natural resource exploitation, conflict, poverty, corruption, and human rights abuses. Its 2017 report “At What Cost?” highlights cases in the Philippines and Mexico. The report links 20, or almost half of the killings in the Philippines, to struggles against agribusiness. It said soldiers are the suspects in 56% of the murders. More than half of the killings or 67% occurred in Duterte’s resource-rich home island of Mindanao in the country’s southern part. 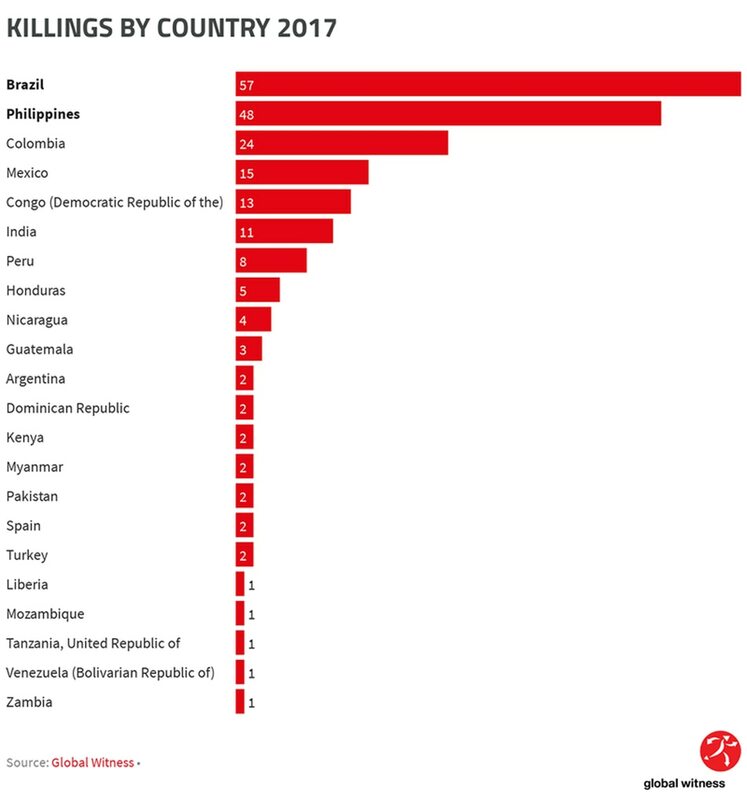 "The backdrop to this rising death toll is a president who is brazenly anti-human rights, the militarization of communities, multiple armed groups and the failure of government bodies to provide protection for at-risk activists,” the NGO said. The Philippines has drawn negative attention for years for attacks on environmental activists, but Global Witness said killings have “risen dramatically” since Duterte assumed the presidency in May 2016. The watchdog’s 2015 report recorded 30 murders of environmentalists. The number increased to 44 between July 16 and June 2017, with 24 recorded in the first six months of Duterte’s second year in office. In his State of the Nation Address in July 23, Duterte claimed environmental protection as his top priority despite the exit last year of fierce environment department secretary Gina Lopez. Duterte ordered mining firms to repair the damage done to the environment. "Try to change management radically because this time, you will have restrictive policies—a prohibition of open-pit mining is one,” he warned. "It is destroying my country. It is destroying the environment. It will destroy the world of tomorrow or our children," the President said. 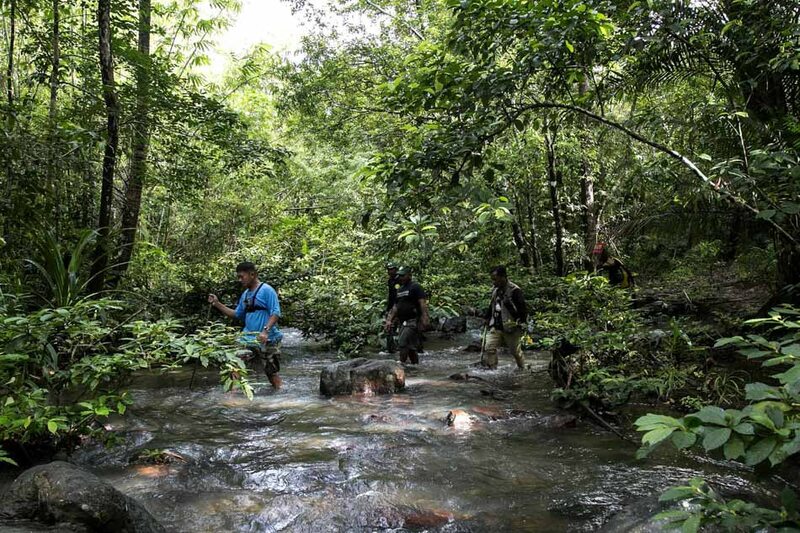 Despite Duterte’s continuing tough rhetoric, local NGO Kalikasan Kalikasan People’s Network for the Environment said the number of commercially operating large-scale mines increased from 41 to 50 in 2017. "The ongoing government review of closed or suspended big mines is also expected to absolve 24 of the 28 projects,” said Leon Dulce, the group’s national coordinator. Disputes between miners and indigenous groups accounted for 11 of the 33 killings of Filipino environmentalists in 2015. Twenty cases were tracked to large-scale agribusiness companies. That year, paramilitary troops killed two Lumad leaders and a head teacher of an award-winning alternative school in Lianga, Surigao del Sur. Soldiers killed 5 male relatives, including a blind septuagenarian and a minor in Pangatucan, Bukidnon. Both incidents were extra-judicial killings, said the Commission on Human Rights. In 2017, the number of people killed worldwide while protesting against large-scale agriculture more than doubled compared to 2016. "For the first time, agribusiness surpassed mining as the most dangerous sector to oppose, as 46 defenders who protested against palm oil, coffee, tropical fruit and sugar cane plantations, as well as cattle ranching, were murdered in 2017,” Global Witness said. Eight of these were Lumad kin from Lake Sebu in South Cotabato. A military attack on Barangay Ned on December 3, 2017 killed Lumad chieftain, Datu Victor Danyan, and seven other relatives. Five more residents of the village were wounded in the attack, which sent the small hamlet’s residents fleeing to nearby villages. Military officers claimed they killed New People’s Army (NPA) rebels, who fled to the hamlet after attempting an ambush. Local officials and church leaders disputed the claim, saying Dayan was a familiar and respected negotiator for indigenous communities battling a coffee plantation firm. The slain datu’s daughter and sister have also testified that he was at home while the other victims were farming within eyesight when soldiers opened fire. Dulce said the President’s thrust to open indigenous lands to industrial plantations would lead to more violence in rural communities.